The rain poured so hard the day that we went to tour Oporto, that our rain coats were soaked through before we left the campsite to catch the nearby bus into the city center. We knew we would face more rain and bad weather on this year's tour, since we would mostly be in northern Europe, but up to this point we had been quite lucky. We expected more rain as we headed north towards "Green Spain" and onto the British Isles later, yet we hoped to get lucky as we were traveling in the best possible time to catch the best weather. 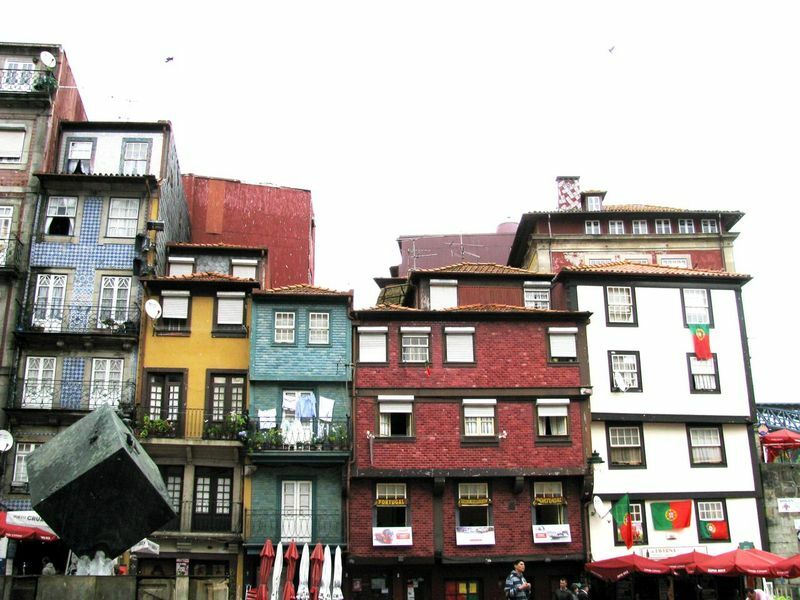 We had been looking forward to Oporto and the Douro Valley, but we looked at each other and seriously considered just going back to the RV, since touring in the pouring rain is not our idea of fun family travel. It did not help that the sweet people in the campsite reception said the local forecast said it would rain all day and for the next few days. Yet, our Portugal time frame was running out, so we could not really afford to waste a day. Luckily, the local weather forecast was as bad in Portugal as it can be at home and we did get a reprieve, so our choice to go ahead and try to see some things worked out. Still, we did not see as much of Oporto as we would have liked because of the on again, off again rain. It did clear up enough for us to have a lovely picnic on the water near the popular Ribeira area, which is a Unesco World Heritage Site. 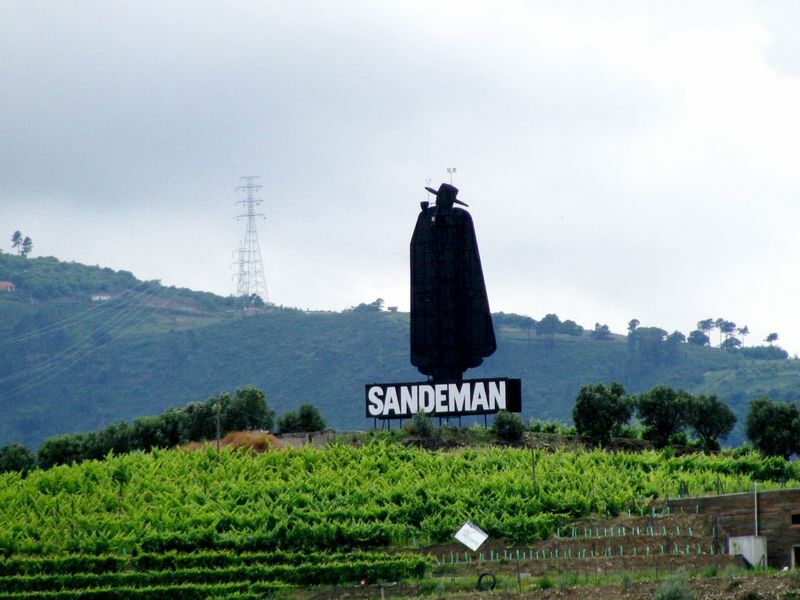 It was fun to see the boats filled with barrels of port wine and we recognized the Sandeman winery across the river, which was the same one we had toured in Jerez, Spain when DaVinci's family visited us in March of 2007. We do not know too much about Port, but we have grown fond of their famous Zorro-like black caped logo. 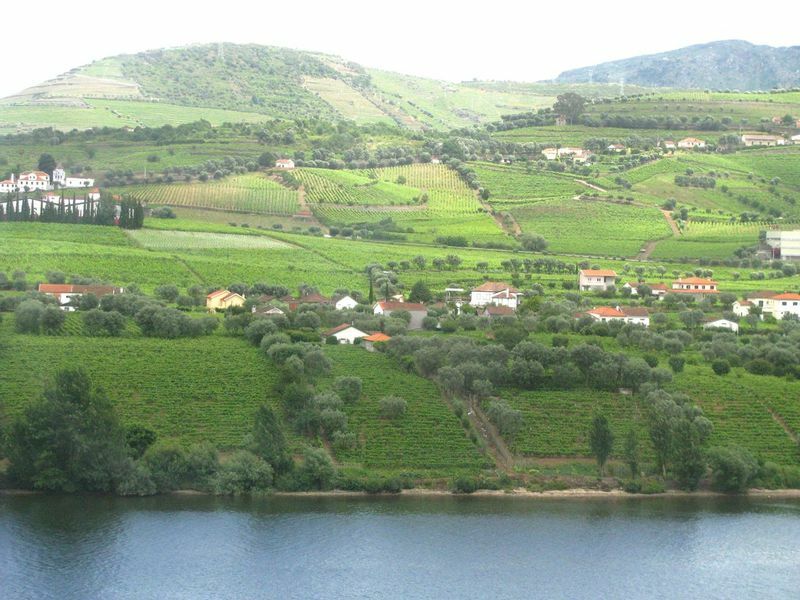 Since the rain started up again, we decided to get on a train to the nearby Douro Valley which is famous for its vineyards and beauty. We figured we would stay dry that way and again, luckily it mostly cleared up, which really allowed us to enjoy the spectacular views as we rode along. We had planned to stay longer in this area, but due to the weather, we decided to cut it short and see both Oporto and Douro Valley in one day. We got a little confused in the train station trying to find the right train, since we don't speak Portuguese, but once again, one of those "kind strangers" helped us out. She was a beautiful and kind young woman, a teacher it turned out who lived in the Douro Valley, and she had over heard us talking in English ( which she understood) and guided us in the right direction. 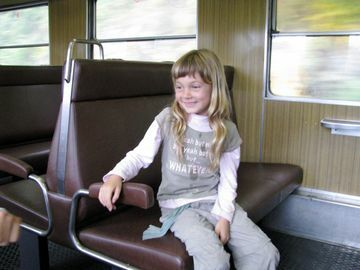 We ended up sitting next to her and really enjoyed her company and insights as we took in the verdant views as the gently gyrating train rumbled along. 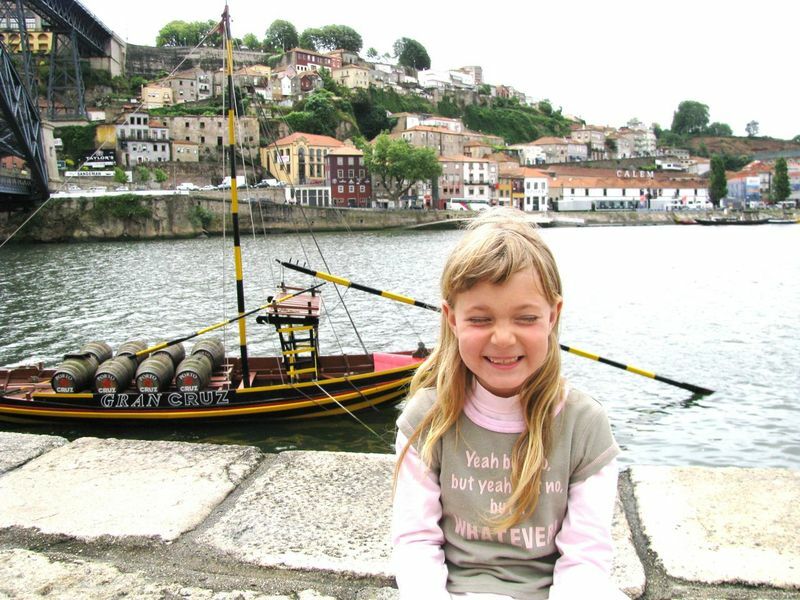 She helped us understand more about all the Portuguese flags that we saw everywhere ( since they had been asked to support their soccer team this way), told us about her relatives in and visits to Sintra and was amazed by Mozart's reading. 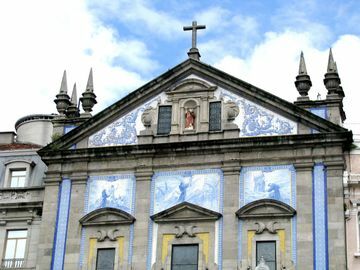 She was happy to get a chance to practice her English and we were thrilled to get a deeper look at Portugal through her. It is always fun for Mozart to take trains as we don't do that many and there are always things to learn and experience. She liked the conductor and even more so, the woman who came around to serve snacks and drinks. 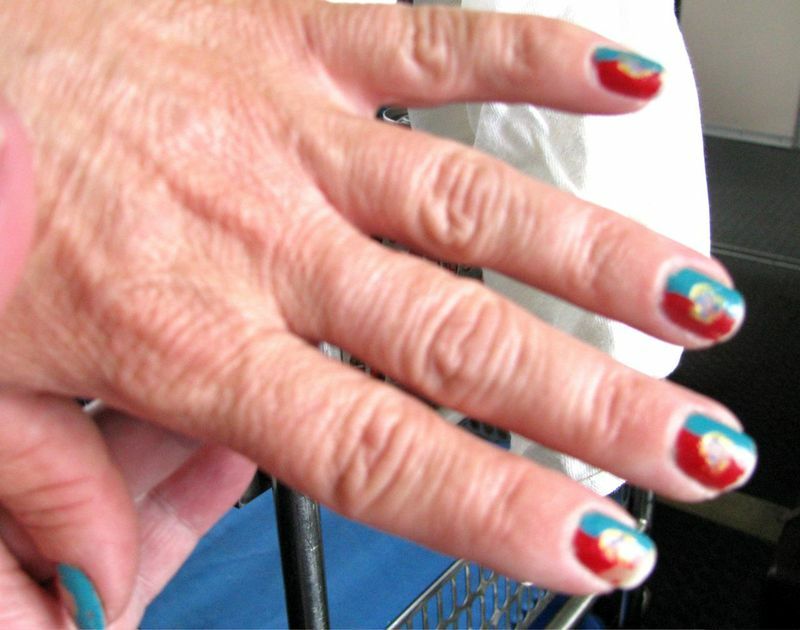 She did not speak English, but we all got a real kick out of her fingernails which were painted just like a Portuguese flag! She saw that Mozart thought this was super cool and then slid off her sandals so we could see she had it on her toenails too. We all chuckled at that surprise. We got off at one of the small wine towns, wandered about and bought one of the many famous Portugal pastries for Mozart. 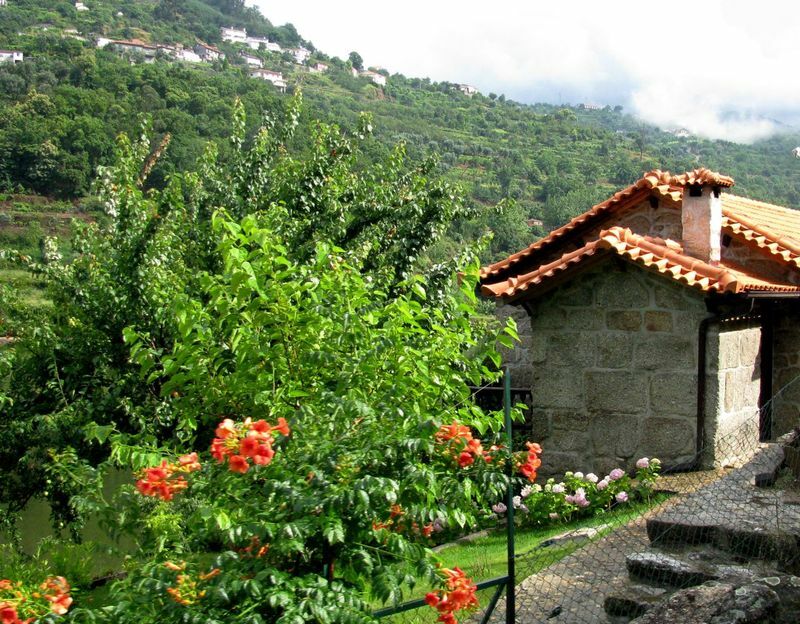 There were some beautiful blue tiles that told the story of the wine and wine making in this village. At a distance, once again, we saw that Sandeman black-caped logo, this time out in a vineyard here. We eventually made our way home to this campsite which was quite pleasant. It had a nice pool ( that Mozart briefly used in between the rain and touring) and half way decent internet connection in the pub area. 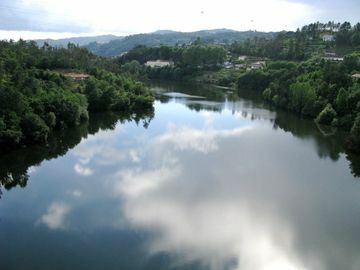 It is about an hour from the center of Oporto though, so we found that to be a negative. The next morning we drove to a huge shopping center and picked up some things at good prices before we left Portugal. 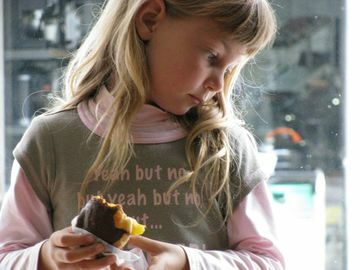 It was an outrageous mall that had everything and my little shopper had a ball looking at all of it and finding so many things that she "just had to have" ( but did not get). Our main goal was to get the things we needed to support our new cameras which was the burner and a hard drive and also load up with groceries at the hypermarket. We have yet to use the burner ( we will in time), but the hard drive has already been invaluable. I bet this area looks stunning in great weather, as we find that weather really makes a difference in how one perceives a location. We wish we would have had lots of sun here, but we are glad that it at least cleared up enough that we could get a good glimpse of this lovely area. 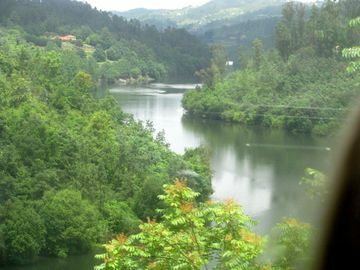 The Dorhou Valley is one of the most picturesque areas of Portugal and we enjoyed it's misty mystique, but I am afraid my pictures ( many taken out of train windows) do not do it justice.